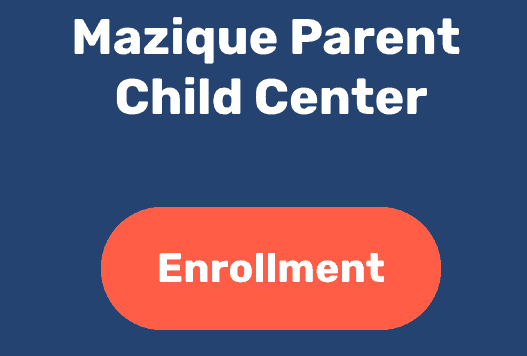 Projects - The Edward C. Mazique Parent Child Center, Inc.
Mazique’s commitment is children and their parents. With our Special Projects, we able to bring community partners onsite to assist with trainings and parent engagement activities. Parents learn how to shop, prep, and prepare tasty, nutritious, nourishing meals in a commercial kitchen with a certified chef. This on-site training allows our parents to obtain their food handlers certificate, card, and permit. With this official documentation, our parents have completed the necessary food safety course that is approved District wide. Mentoring and leadership program designed to help women make better decisions while building self-confidence to overcome any challenges and/or obstacles they may face. Parent leadership opportunities enables parents to participate at different levels within the program that best match their knowledge, skill, and communication. Mazique collects donations yearly from our community partners in order to provide food baskets and gifts for our children and families during the holiday seasons. Parent meetings are held at their respective sites to inform parents of upcoming trainings, closings, and necessary information pertaining the daily care of their children. In addition, specialized training for parents is presented during meetings. The Men of Mazique was created as a support for males to increase the interest and awareness for males to be more involved in their children and families lives. This activity allows our children to learn and understand the importance of growing and cultivating plants from beginning to end. In collaboration with ECMPPC, Inc., Special Olympics DC provides services that include sports, health, and inclusion programs for all of our children and families. This allows the children the opportunity to develop their physical fitness skills and courage while learning and exploring new experiences. Our Partnership Program gives parents opportunities to participate at different levels within the agency based on their knowledge, skills, and abilities, coupled with their schedules and interests, by volunteering in the classroom to by serving as a member of the Parent Policy Council/Policy Committee. The Family Services Department is dedicated to promoting Mazique’s mission. Research indicates better outcomes for children begin at the earliest stages of life. 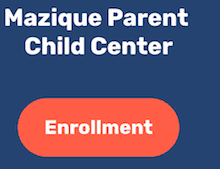 When parents choose Mazique, they are choosing to partner with an agency focused on reducing the achievement gap of children from low, socioeconomic backgrounds compared to their peers.